A row has broken out over a hospital trust's decision to give nurses 'Do Not Disturb' uniforms to wear during routine ward duties to prevent patients from speaking to them. 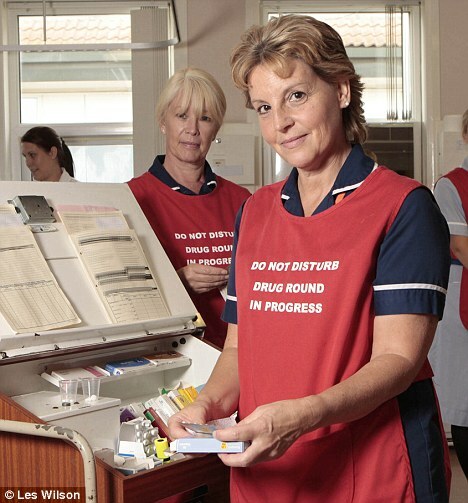 When nurses are wearing the bright red tabards, patients have to address any concerns to care assistants, who do not have clinical qualifications. The hospital says interruptions, such as patients asking questions about toilets and meal times, stop nurses from doing their jobs properly and could lead to patients being given the wrong medication. This is an interesting way of rationing care, by limiting when and how patients can interact with caregivers. It's not as overt as, say, capping the numbers of surgeries a hospital will perform each week or how many cardiology appointments patients can get in a year. But the hospital is still sending an implicit signal, "Don't expect too much from us".